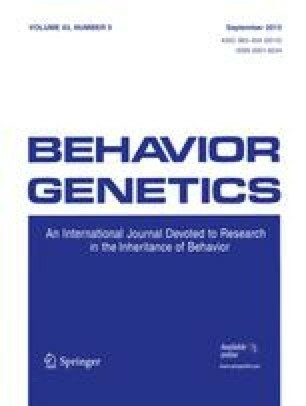 Large samples and systematic screens of thousands of DNA markers are needed to detect quantitative trait loci (QTLs) of small effect size. One approach to conduct systematic genome scans for association is to use microarrays which, although expensive and non-reusable, simultaneously genotype thousands of single-nucleotide polymorphisms (SNPs). This brief report provides proof of principle that groups of pooled DNA (for example cases and controls) can be genotyped reliably on a microarray. DNA was pooled for 105 Caucasian males and genotyped three times on microarrays for more than 10,000 SNPs (Affymetrix GeneChip® Mapping 10K Array Xba 131). The average correlation was 0.973 between the allele frequency estimates for the three microarrays using the same DNA pool. The correlation was 0.923 between the average of the three microarray estimates using pooled DNA and individual genotyping estimates for a Caucasian population as provided by Affymetrix (NetAffxTM). Thus, genotyping pooled DNA on microarrays can provide a systematic and powerful approach for identifying QTL associations for complex traits including behavioral dimensions and disorders.